Welcome to Knight Technology. 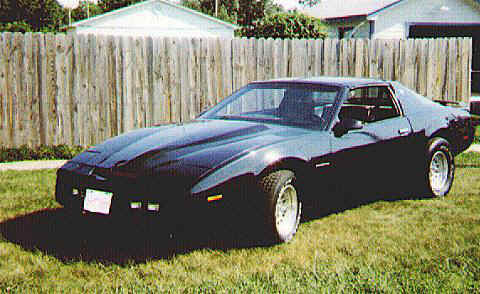 A website designed to help you convert your Pontiac Firebird or Trans-Am to the famous star car K.I.T.T. Projects described here revolves around the thought that you want to save money and make some parts yourself. There are people out here in the Knight Rider community that make parts to convert a car or you can even have the car built for you. Check out the Links if your interested in that. If you got a car, not a whole lot of money, and allot of patients this is the place you want to be. It started out in 1982 when the series Knight Rider came to be. Watching the show every week I decided one day I would own a car that looked like KITT. Fast forward to the 90's and I purchased my first 3rd generation firebird. Unknowingly one day I was bored on the internet so I did a search on "Knight Rider". It came back with a few fan websites so I clicked them, followed their links and I found places called Conversion Companies. Dang near having a heart attack, I started planning on how to make these parts myself. After making a scanner bar I needed a way to light the thing up. For days I looked for schematics, there was none to be found for free that had anything to do with Knight Rider. I knew then that I would have to develop the circuits myself. A few hundred dollars and months later, the task of building the scanner and voice display was complete. Knight Tech was developed to help out anyone that would want to build these projects for their car cheaply. Along with these projects is a section devoted to my personal conversion so you can see how these projects will look after you complete them. Before you go any further I must ask you to read the disclaimer below, if for nothing else your own personal enjoyment. This website was designed and created by A/E ©2003 Andrew's Engineering.